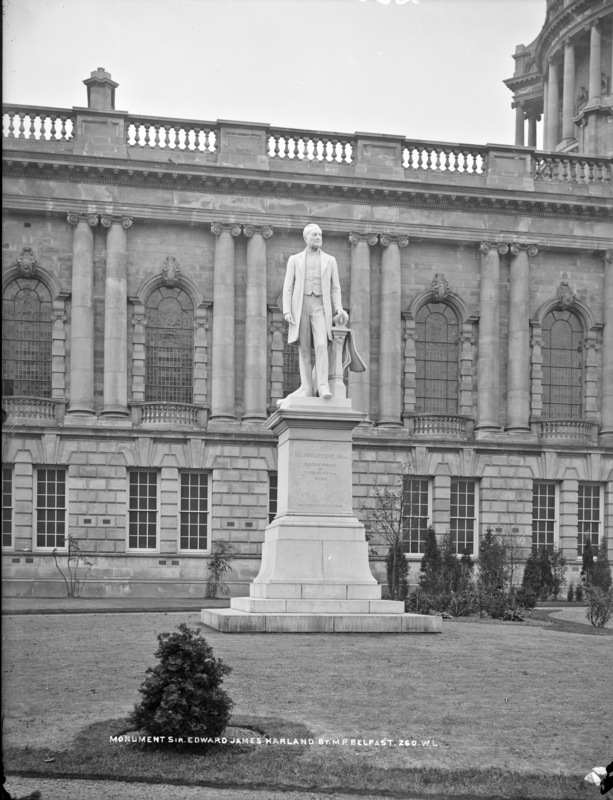 A monument to Sir E. J. Harland in Belfast takes us up north of the border (which is in the news) today, and gives me an opportunity to quote from Maurice Craig's wonderful poem. Harland is a name that is synonymous with Belfast - but I confess to know very little about the bearer of that name, can you enlighten me? Wikipedia article The picture of the statue in the article suggests it may have been moved or rotated...? 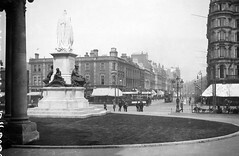 Per the DIA this is by Sir Thomas Brock, who also did: also an equestiran statue of Gough in the Park in the archive, as well as a Titianic memorial and a WW1 memorial in belfast. In 1874 Edward Harland recruited William James Pirrie, a former apprentice at the company as a partner; Pirrie would later become chairman of the company, and was given the task of finding buyers and negotiating deals. Harland was once asked the nature of the three men's business relationship and replied: "Well, Wolff designs the ships, Pirrie sells them and I smoke the firm's cigars." LOL indeed [https://www.flickr.com/photos/beachcomberaustralia] - that one had to get a mention in the (updated) description :) As well as borrowing heavily from the Wikkpedia article which [https://www.flickr.com/photos/[email protected]] linked, I've also mapped this image alongside the other Brock statue which [https://www.flickr.com/photos/gnmcauley] reminded us of... Thanks all!